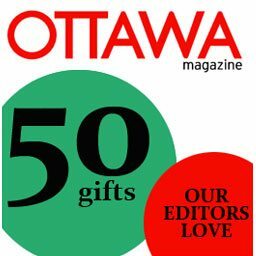 This year, Ottawa Magazine‘s editors got together to share their Christmas gift ideas with each other—and with readers. These highly discerning picks deliver 50 Christmas gift ideas from around Ottawa and across the internet. Here, you can find something for everyone on your list: hosts and hostesses, nieces and nephews, moms and dads, brothers and sisters, boys and girls.